A celebration of 26 of the author's favourite bothies, as she shares her memories of her favourite 'stone tents' all over the UK in remote and wild locations. Packed with expert advice on how to make use of these 'free, old, empty houses', from packing lists to bothy etiquette and the best walks into these remote locations. Wales: Snowdonia, Brecon Beacons, Devil's Bridge. England: Buttermere and Mosedale (Lake District), Dufton (Pennines), Kielder Forest Park (Northumberland). Scotland: Highlands and Isle of Skye, Glenduror Forest, Fort Augustus, Spean Bridge, Rannoch Moor, Cairngorms, Galloway Forest, Fisherfield, Sandwood Bay, Oykel Bridge. Good level of fitness and ability required. Some of the bothies featured can be reached in a half day's walk, on easy to follow bridleways and paths; others require technical and/or navigation skills, especially in winter, with some river crossings or scrambling. Bothies in this book cover some of the UK's wildest spots. Highlights included Sandwood Bay, Fisherfield forest, the Isle of Skye, Mosedale in the Lake District, the Torridon coastline, Rannoch Moor, Ben Alder, the Cairngorms National Park, Galloway Forest and Snowdonia's Carneddau. Journey into some of the wildest and remotest spots of the UK and you will be amazed at what you will find – old, empty houses left open for you to use… and at no charge? It sounds too good to be true – but it’s not. 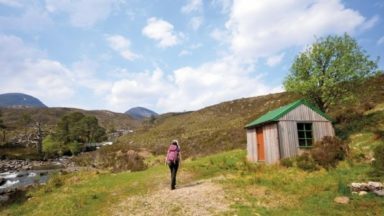 Thanks to the fantastic work of the Mountain Bothies Association (MBA), the UK is home to a network of hundreds of bothies, lovingly maintained by volunteers for walkers and climbers to access some of the UK’s greatest wilderness. This book celebrates the very best bothies in the country. Follow in Phoebe’s footsteps as she shares hard-won, expert advice on how best to make use of these ‘stone tents’, including packing lists, bothy etiquette, best walking routes in, local legends and more. And be inspired to pay a visit to one yourself as she recounts stories from her own stays in these stone sanctuaries – sharing whisky from Sigg bottles, telling ghost stories around a roaring fire and dishing out dry socks to late arrivals. 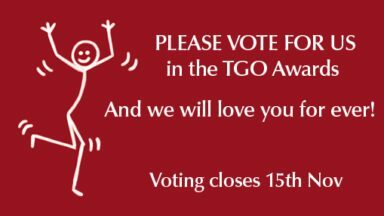 The best bothies – or why these 26? The bothy near Lochnagar – which we have as Glendar Shiel Stable throughout – is actually called Gelder Shiel Stable. On page 105, we have listed among nearby hills to the Hutchison Memorial Hut ‘Derry Hill’ but this should be ‘Derry Cairngorm’. Phoebe Smith brings the great bothy resource to life and her book is a job well done. I fear I have taken bothies for granted. After all; out there in the sticks of the back of beyond, rarely seen and infrequently used makes it easy to overlook an unparalleled social legacy. For over a century bothies have been providing workers, walkers, climbers and the assorted vagrants of wild lands with safety and shelter from the elements. In sometimes challenging landscapes a bothy can take-on all the trappings of luxury! I recall just such an occasion arriving at Dalnashallag Bothy in Strath an Eilich near Glen Banchor after two days of Highland rain with tent and clothes a saturated solution, the bothy beckoned like five-star hotel. A welcoming fire ablaze in its lonely grate but weirdly no-one else was there and although I expected someone to turn-up any minute no-one did, I had the entire place to myself but I never quite shook off that Mary Celeste feeling! Phoebe Smith’s book marks the 50th. Anniversary of the Mountain Bothies Association (MBA), to whom the book is dedicated, it is a worthy tribute for without that gallant band the bothy estate would be so much poorer than it is today, it would be hard not to share the author’s enthusiasm for the MBA. 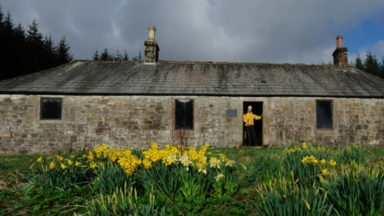 The format of the book is simple and effective, our country is divided into its national constituents, unsurprisingly Scotland gets the lion’s share of attention – with 18 bothies covered, add to this four bothies each for England and Wales and the book describes 26 bothies out of 100 or so officially cared-for by the MBA. From Ben Alder Cottage at Dalwhinnie to Greg’s Hut in the Pennines and Arenig Fawr in Snowdonia The Book of the Bothy is a catalogue of delights, sure to promote explorations beyond the author’s selections. For each bothy featured there is an Ordnance Survey map with grid reference and descriptions of two access routes, one the direct or “classic” with a longer “challenging” alternative for hill-baggers and those who have time and inclination. The bothy building, rooms and facilities are described in detail and nearby hills are listed too. But this book is more than a gazetteer of cost-free wilderness lodgings; its utility is multiplied by the author’s enthusiasm for the outdoor life, made clear in short personal essays describing her individual bothy adventures. Here she records the beauty to be seen in living landscapes, the wildlife to be alert for and all the richness of people encountered… and some may surprise. Prince Charles, Robert De Nero and Beatrix Potter’s Peter Rabbit all make their appearances. Phoebe Smith brings the great bothy resource to life and reminds us of a cultural truth close to the centre of our humanity – that the provision of shelter is to be freely given to needy travellers who pass among us. Her book is a job well done. "It's not often a book comes along that adds a whole new dimension to your time in the hills but The Book of the Bothy could do just that... A great book that made me want to head to the hills immediately." "The Book of the Bothy is an ideal guide to these charming, esotric buildings scattered about the highlands of Britain. The book is small enough to be packed away in a rucksack pocket, and yet is bursting with useful information, advice and some beautiful prose passages" Gorom Gorom review. "an inspiring introduction to those new to the idea of remote mountain shelters, and gives some insight into how to find them, what to pack and how to behave once there." You could be forgiven for thinking that every aspect of hillwalking had already been written about, many times, and that most books about Scotland's mountains that are published these days are updating, revisiting or providing the author's personal slant on places and subjects that have been covered by others previously. "The Book of the Bothy" by Phoebe Smith therefore came as something of a surprise. We've come across fictional and non-fictional accounts of climbers and walkers in which bothies are visited, but we are pretty sure we've never previously encountered a book that is actually about bothies. Combine an author whose knowledge of and love for her subject is as obvious as her ability to convey that knowledge - and that love - to her readers; the extremely high production values we have grown used to from Cicerone Press; and a simply magnificent cover photo, and you have a book that is a sure-fire winner. Bothies are something of an enigma to many of us, even those of us who have ventured out into the hills on a regular basis. 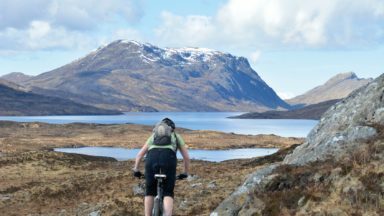 Perhaps there's a sense in the modern world that a system set up to provide visitors with free accommodation in some of the most remote corners of Scotland is simply too good to be true? There has to be a catch, hasn't there? Well no, apparently not, and this book should be considered essential reading for anyone who wants to add an extra dimension to their exploration of the Scottish hills. And not just Scotland, of the 26 bothies discussed in detail between the covers of this book, 16 are in Scotland, 4 are in England and 4 are in Wales. The bothies included are the author's personal selection from the 100 or so that are on offer in the UK. Each bothy is given a map showing the location and route in, some photos, a descriptive text talking abut access routes, history, facilities and so on. Also included are the author's personal recollections of her own visits, from crashing a stag party at Glencoul bothy to a solitary but supremely comfortable night at the remote bothy near Sandwood Bay. Ever since Alfred Wainwright opened up the fells of the Lake District to all those who followed his pictorial guides, it's been a risk run by authors of guidebooks (and, for that matter, websites about Scotland) that they could make the places they are describing too popular. 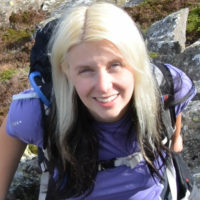 We suspect that Phoebe Smith's book will result in more people visiting and staying in bothies, both those she covers and others, but given the effort needed to reach many of them, she's unlikely to cause an accommodation crisis anytime soon. This book is essential reading for all lovers of Britain's remaining remote areas. Thanks to Undiscovered Scotland for this review. I have to admit I had never come across the term "Bothy" and was intrigued when the book landed on my door mat. From reading the first page, I couldn't put it down. For those who aren't aware, a bothy is a basic building which is free for use by walkers for shelter or to stay one or two nights. Most don't have toilets and no running water so is basically a step up from a tent. Many are ex-miner cottages and have a historic story to tell and many are in places with fantastic views. Most are in Scotland but there are a few in the Lake District, Northumberland and Wales. The majority of Bothies are maintained by the Mountain Bothies Association are were relatively secret until a few years ago. This book has a well written introduction and is then split into three section: Scotland, England and Wales. Each section is further split into each bothy with a local map, description of how to get there and what facilities it has. In addition, each has a picture of the inside and outside and a copy of notes left by the author for each visit. It's well laid out and even gives you information on the traditions and etiquette of using them so I feel confident in using my first one. An excellent read and kept me interested throughout. I'm so overjoyed I am immediately going to buy a copy for my friend. The Book of the Bothy is part guidebook – 26 of the authors favourite routes are covered - and part interesting narrative. It will come as no surprise that most of the 26 bothies covered in this book are in Scotland – 18 in Scotland, 4 in England and 4 in Wales. At the beginning of each bothy covered is a map extract, photograph and some interesting reading about the bothy and the area. Each chapter also has the author’s own bothy book entries, which would make great reading when you are tucked in your sleeping bag in a bothy in the wilderness. I really enjoyed reading through this book, and I can’t wait to get out and try staying in a few this autumn. There is lots of useful and interesting information, and it’s one of those books that you can keep coming back to time and time again. The design of the book is lovely too, with lots of colour photographs throughout. Highly recommended for anyone looking for a new adventure, or for the person that regularly spends time sleeping out in the hills. "Who needs feather beds and five-star luxury when a real wilderness experience is there for the taking? The 26 bothies reviewed in The Book of the Bothy are extremely varied and represent Phoebe's personal selection of some of the best in Britain... A real strength of the book is the manner in which the author sets out the social and community history of the various bothies. Many of these tales reveal the difficulties of life in past years in some of Britain's remotest outposts... Phoebe Smith's remarkable pocket-sized book demonstrates that bothies really have come in from the cold. The bothy is a marvellous institution, each one a special space in the hills with its own distinctive character. Bothies act as an antidote to the modern fad for luxury travel. And, if truth be told, they are still a good place to share a dram. Even for those who have no inclination to take to the hills, The Book of the Bothy makes a compelling read. Phoebe Smith's book captures the very particular appeal of a style of travel which deserves to be much better known. By day Phoebe Smith is an award-winning travel writer, broadcaster and presenter as well as Editor-at-Large of Wanderlust travel magazine and Sleep Storyteller-in-Residence at calm.com​ where she writes scripts for the likes of Stephen Fry, Joanne Lumley and Danai Gurira. 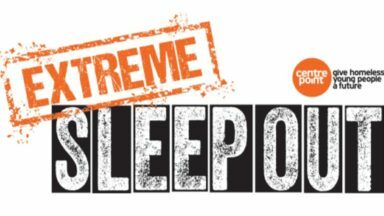 By night she’s an extreme-sleeping outdoors adventurer who thrives on heading to the wildest locations she can find in order to sleep in the strangest places she can seek out.